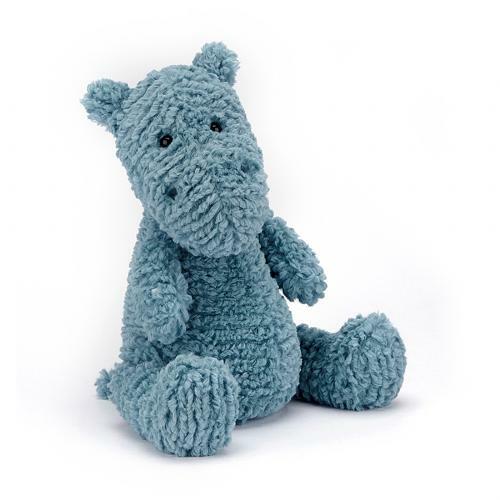 A bright blue buddy with a snuffly snout, it's quirky Quangle Wangle Hippo! This little hippo has a cuddly round tummy and ruffly, scruffly, huggable fur. Her aqua tail and soft chunky legs help her sit up very well. Just the pal for daytime snoozes and trundly trips to the zoo!